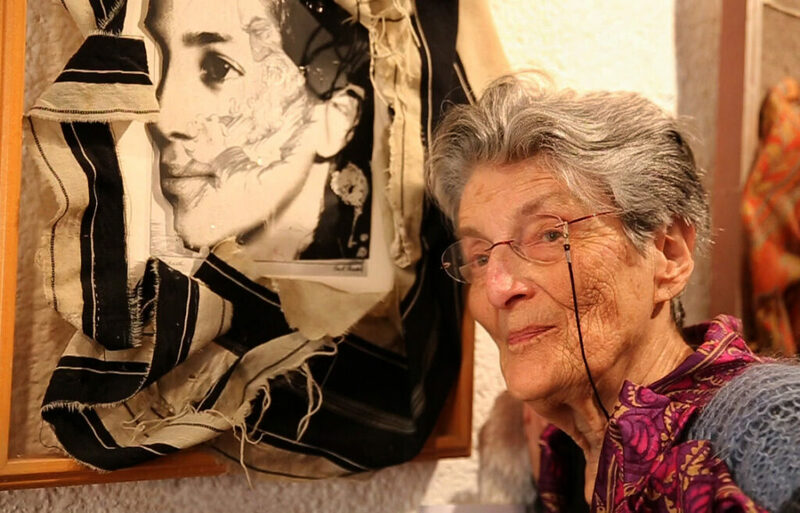 Jo Milgrom, the 87-year-old artist/feminist/Jewish thinker, scavenges Jerusalem dumpsters for choice junk that she combines with worn-out Jewish ritual objects. Armed with a glue gun, Jo challenges the religious establishment by juxtaposing the sacred and the mundane in her assemblage.She calls her work “visual midrash,” referencing the Jewish literary tradition of supplementing the biblical narrative with commentary, often in the form of colorful homilies. Traditional midrash was written from the third to the 12th centuries, but Milgrom believes there’s just a place for creative midrash today. Screening followed by Raise the Roof.